Our version of the “bullet train” – known as the Electric Train Service (ETS) Express Route – now connects major cities of Ipoh (Northern Malaysia) and Seremban (Southern Malaysia) via Kuala Lumpur in 3 hours. The speed of the ETS train is up to 140 km/h although it is designed to travel up to 160 km/h. 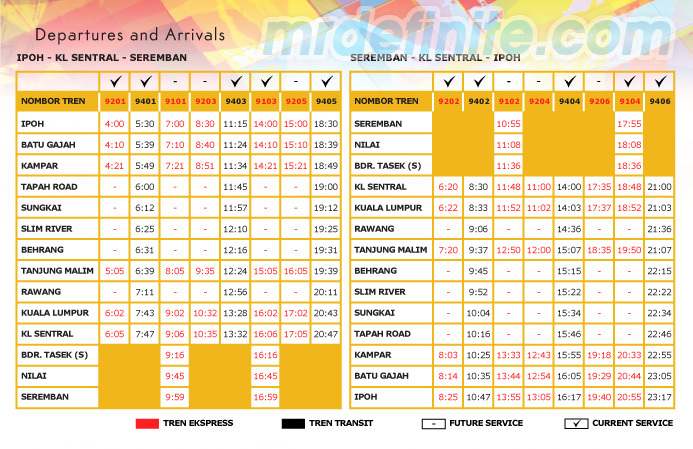 It takes approximately 2 hours to travel from Ipoh to KL Sentral and 1 hour from KL Sentral to Seremban. In between Ipoh and Seremban, the train drops by Batu Gajah, Kampar, Tapah Road, Sungkai, Slim River, Behrang, Tanjung Malim, Rawang, Kuala Lumpur, KL Sentral, Bandar Tasek Selatan, and Nilai. It’s RM38 from Ipoh to Seremban and RM30 from Ipoh to Kuala Lumpur/KL Sentral, or the other way round. Children under 12, the handicapped, and senior citizens would enjoy a 40% discount, whereas students get a 20% discount. 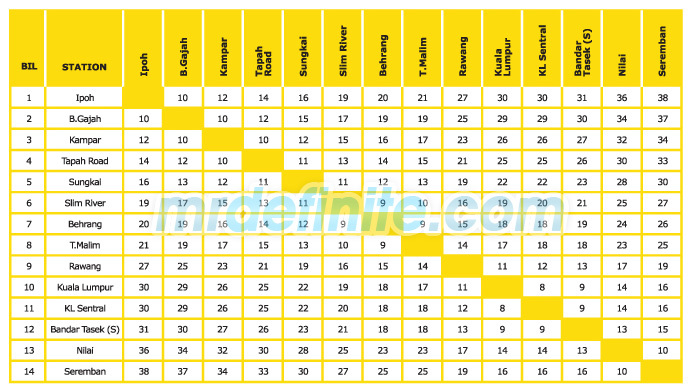 Update: All schedules and fares were as of December 2010. Visit KTMB website for any updated info. but really rare la.. cz before it reaches 160 it has to slow down for reaching the next station d..
Gonna try it very soon, Cheesie! Kindly advise what is the qualification age for senior citizens fare? 55 years or 60 years?